Sony Ericsson has introduced a new accessory, which gives the photo maniacs the ability to take better pictures. The IM502 is a stand, with really portable dimensions (1.1 x 2.3 x 0.4 inches), so it shouldn’t take a lot of space, even when in one’s pocket. In order to attach a phone (only Sony Ericsson models) you should use the charging port, as the stand has the suitable connector. In addition, its legs have been covered with rubber, so it won’t slide. You can also use it with a standard camera, which sounds really practical, since you can buy the IM502, even if you don’t have a Sony Ericsson phone. The price has not been announced on the manufacturer’s online store yet, but our source informs, that this accessory can already be found on some other official stores. could you a bit of over kill...dont you think? 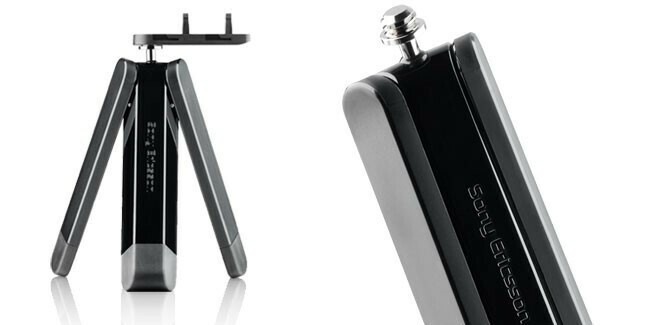 show me a SONY ericson phone that deserves a camera stand. seriously....over kill is right. Um, how about the C905? Its an 8.1MP CyberShot. Or the W902 at 5MP? I guess if you prefer to find a book or a rock, then you don't need a tripod. But if you want to set up a shot well, a portable $15 tripod is great. To: The Godfather (unregistered) what do you mean "show you a SONY ericson phone that deserves a camera stand" SONY ericsson phones have the best camera you noob. il take on whatever phone you have with my ericsson Satio in a camera-wise comparison.